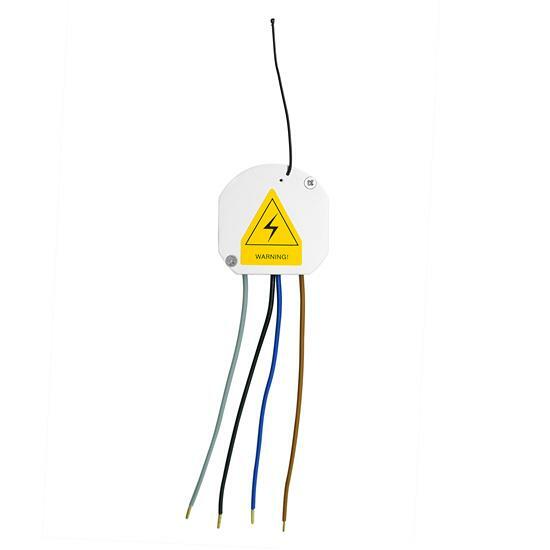 The Wise Volt Free Receiver can turn on/off any volt free circuit including; blinds, gates, floodlights, pumps, shutters, contactors, under floor heating, boilers and garage doors. The receiver is small enough to be placed in many locations, for example, in the ceiling, in the wall either through it, behind a recessed light fitting or in a surfaced mounted fitting. The receiver should be placed in a suitable insulated box. The receivers are designed to be simple to install, easy to use and most importantly, reliable. Any of the Wise 868 switches can be used with this receiver, including the remotes and modules. Option C : Mode - Change from ON/OFF to push-to-make.